With years of industrial experience, we are able to carve a niche in catering a durable range of Heat Detector to our clients. 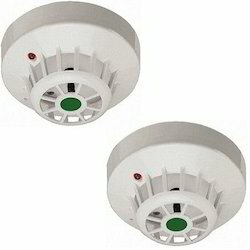 These detectors are effective to warn about fire hazards at the early stage by detecting the increased heat around the area. Our clients can avail these at competitive prices.